#studentcouncil | Go, Leader, Grow! This was month #2 in our L.I.D. 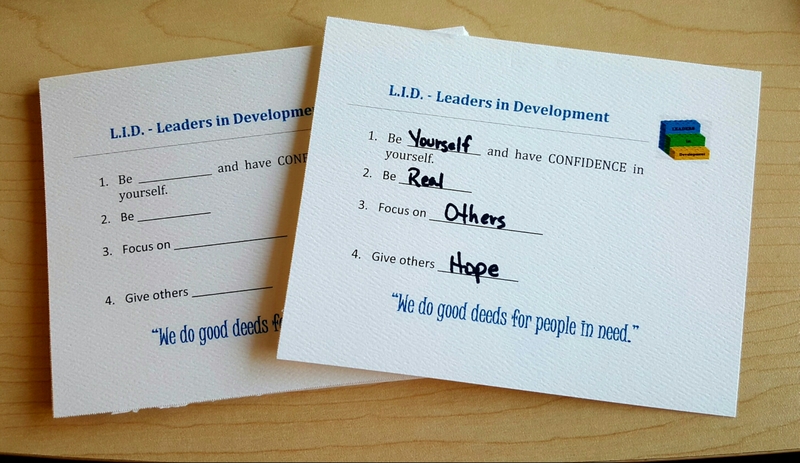 (Leaders in Development) sessions. These student leaders are attentive and participate very well. I kicked on my first L.I.D. 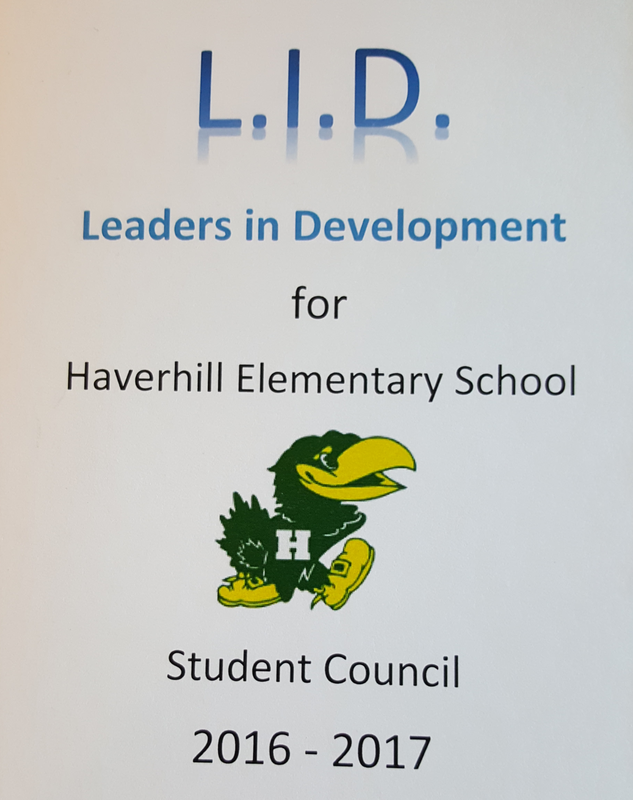 – Leaders in Development session today at my son’s elementary school with the 4th & 5th grade student council. 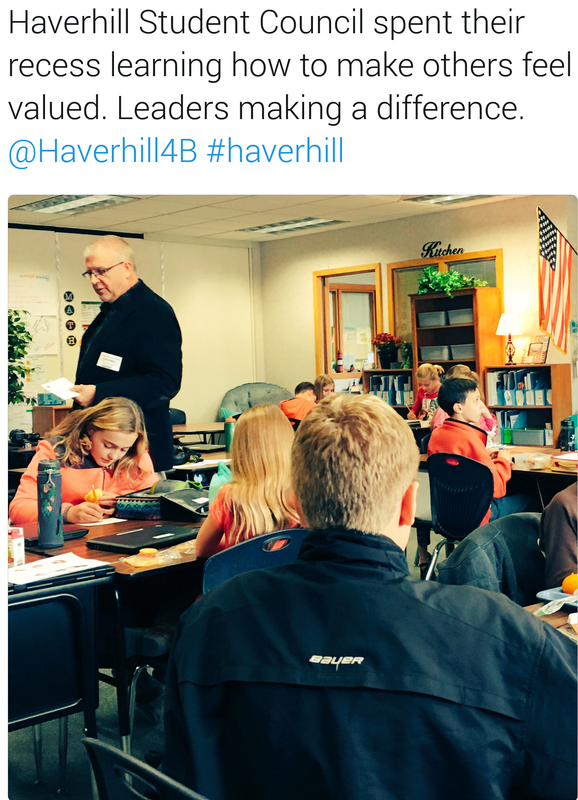 Today we learned that leaders connect best when they care about others. These student leaders were great listeners and participated so well! These are very thoughtful kids. This month, they are hoping to donate over 1,000 pairs of socks to local homeless shelters (before winter hits here). I think they’ll do it! Be yourself and have confidence in yourself. ​Tomorrow, I kick off my L.I.D. 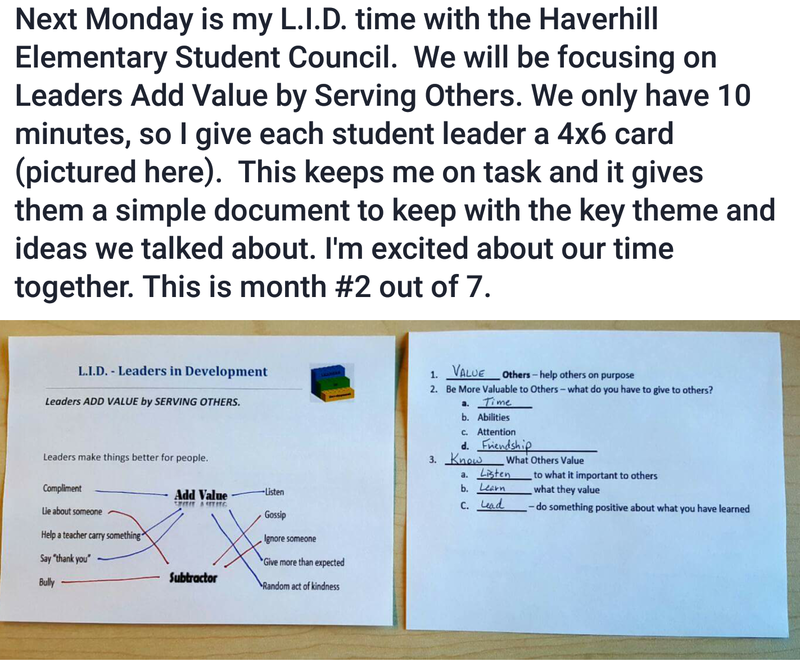 – Leaders in Development time with my son’s elementary school student council. I will be doing a brief 10 minute session with these student leaders (4th & 5th graders) once a month for the 7 months. Each session will focus on a Leadership Law from John Maxwell. Yes, I’m only giving them 7. Since my time is limited, I’m going to experiment with these cards. There will be discussion around these points. Tomorrow we talk about how leaders CONNECT and CARE. I’m praying for good attention spans of the kids and that I will connect with them. Looking to lift the lids on these student leaders!